There are many reasons this episode may have been given this title. Before watching it, many assumed that it could be a reference to Aaron, and that we would learn of his royal bloodline. Since the episode is Kate/Aaron-centric, perhaps this is what the writers are implying…or foreshadowing. The direct reference however, is to the name of the boat belonging to Danielle Rousseau’s French science expedition—Besixdouze, or B612. B-612 is the name of the asteroid that the little prince is believed to have come from according to the narrator of the book. The little prince had never referred to his world by this name, the numeric designation had been assigned by grown-ups, since, according to the narrator, grown-ups really like numbers. As Lost fans, I guess we can agree. For me, the meaning behind the title of the episode has more to do with the writers sort of making light of how seriously viewers tend to take the show. They knew full well that fans would be spending many a podcast discussion and online chat pondering the title’s meaning, just as many of us had about the previous week’s Jughead title. I guess they figured, rightfully so, that we wouldn’t have learned our lesson from that little deception and decided to see if they could fool us again. Well, perhaps they are not trying to fool us, but just knock some sense into us. Maybe they are just trying to remind us that we are often too serious and that we should get in touch with our inner-child and listen to its wisdom. The title could really just be a clue that the episode would be full of life lessons we have forgotten and might need to be reminded of. In fact, “The Little Prince” episode is chock-full of wisdom; everything from the concept of not knowing what you’ve got until it’s gone (Sawyer beginning to realize how much he loves Kate) to the old saying that “whatever doesn’t kill ya can only make you stronger,” which, I’ll get to in a moment. First, though, let’s discuss Sawyer. Without saying a word, Sawyer made it clear that he deeply misses Kate. 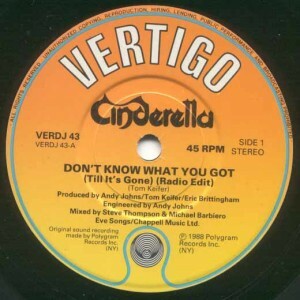 As eighties hair-band Cinderella so raspily sang, “ya don’t know what ya got, ‘til it’s gone.” A similar adage is that we always want what we can’t have. This is one of the reasons why so many women go for bad boys—they can never be had by anyone. Sawyer is the perfect example of the bad boy, or maverick archetype. I believe that if the writers are keeping to classic mythological storytelling (and so far, for the most part, they have) Sawyer either must end up with Kate, or he must sacrifice himself for her. He’s really already done the latter, having jumped off the helicopter so she could find rescue. He might have to completely sacrifice himself, but I don’t think it’s gonna happen. According to archetype, Kate and Sawyer will end up together. Think of Sawyer as Han Solo to Kate’s Princess Leia. This would make Jack, Luke. I’m not saying he and Kate are brother and sister, just that I don’t think they are a mythological match. Sorry Jaters. Getting back the other major message of the episode, this one occurs shortly after Sawyer’s realization. It happens when Sawyer confronts Locke about his knowing what time they’ve leapt to. Realizing that Locke could warned his past-self of his future troubles, Sawyer can’t understand why he won’t do so and thereby save himself “a world of pain.” Locke says that he needed that pain to get to where he is now—a lesson for Sawyer and a reminder for the rest of us. The belief that “whatever doesn’t kill you can only make you stronger,” or “pain pushes you until the vision pulls you,” or even that “out of rejection comes direction,” are themes that run throughout Lost. The message is simply that the “island” (the universe, fate, God, whatever you want to call it) throws challenges at us so that we can grow and accomplish our destinies. While Lost has been repeating this theme since the pilot episode, it’s especially relevant now, as our world is experiencing this dark hour. It is to remind us that we aren’t going through this for nothing, and that there is light at the end of the tunnel. 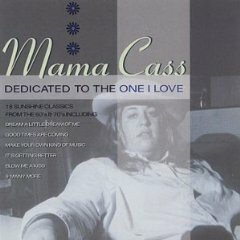 After all, “the darkest hour is just before dawn.” In fact, I believe “Mama” Cass Elliott sang on one of the more popular covers of that song (“Dedicated to the One I Love”). Having used some of her tunes before, perhaps Lost plans on using this one as well. Just at the moment when things look bleakest. 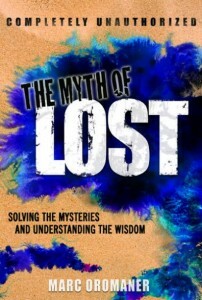 Somehow, I think everything will turn out for the best on Lost, as it will in our world. Just like the characters though, we just might need to strengthen ourselves a bit for what’s to come. As Lost fans may be learning these lessons on a deeper level than others, perhaps we will be charged with helping everyone else cope—especially if something goes screwy with time. Can you imagine? The world in a panic as we begin jumping around in time and space? As Lost fans, we’ll be able to help everyone stay cool. Who says television is a waste? Its messages just might end up improving our lives, and quite possibly, saving our world.